Welcome to our Villa Ratskopf! 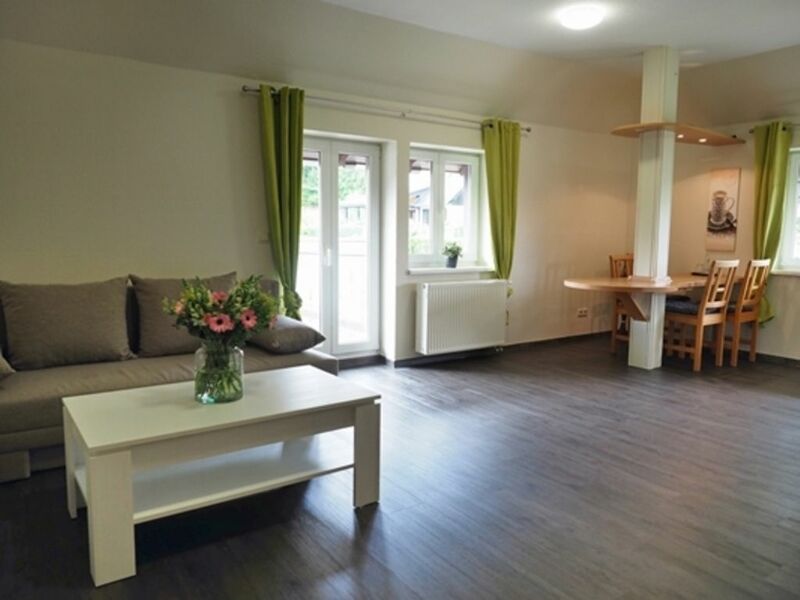 Right on the edge of downtown Wernigerode you stay in our studio. From the balcony you have a wonderful view over the colorful city. Spend relaxing days in the company of your loved ones and find in our studio the ideal accommodation for up to 4 people. The bright and friendly furnished apartment is equipped with bedroom, living room with dining area and sofa bed, kitchenette and private bathroom. Take your breakfast in the morning individually. The night before, a fresh slab of cold meats will be delivered to your room. In the morning we provide you with fresh baker's rolls. Then start a sightseeing tour in Wernigerode - the Bürgerpark with its miniature park "Kleiner Harz", the wildlife park Christianental and the aviation museum invite young and old to a visit. Do you want to go up high? Then it goes steaming with the Harz narrow gauge railway to Brocken. From here you can enjoy a fantastic view far beyond the Harz mountains.